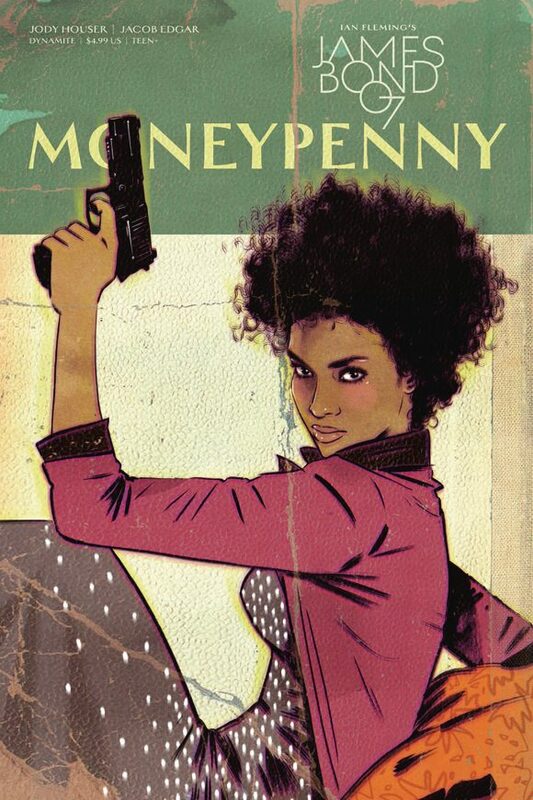 James Bond: Moneypenny, Dynamite. I’ve been hearing good things about Dynamite’s 007 comics, and with Jody Houser writing this one-shot, I’ll definitely give it a try. Art by Jacob Edgar. 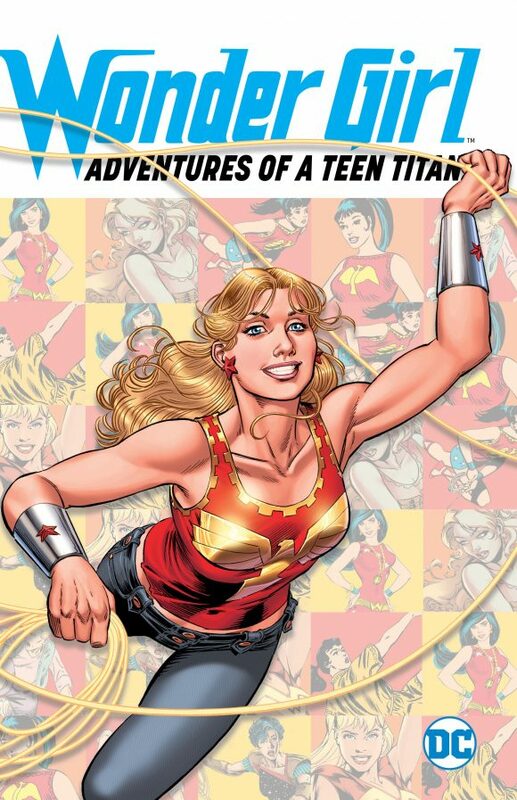 Wonder Girl: Adventures of a Teen Titan TPB, DC Comics. I’m hoping the story mix here leans more Donna Troy than Cassie Sandsmark, but either way I’m on board. 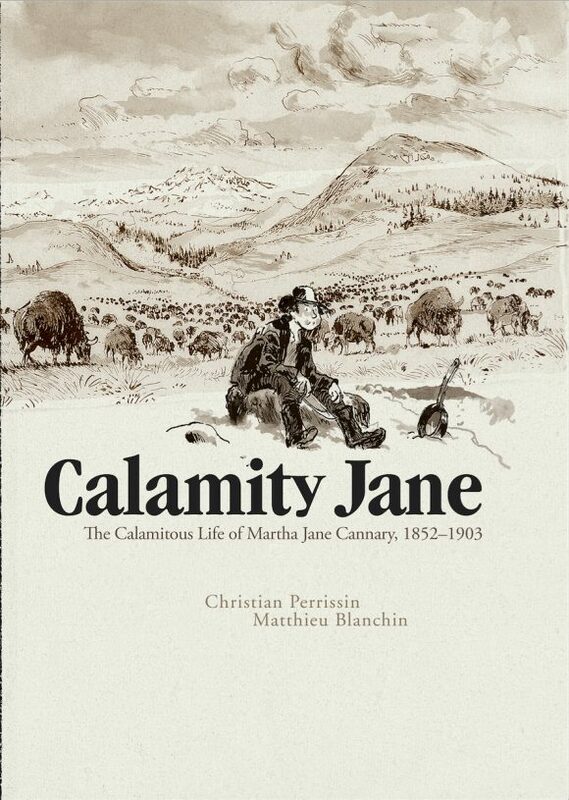 Calamity Jane, IDW Publishing. The Angouleme-award winning graphic novel is presented in English for the first time. Interested in seeing this French take on a very American tale. Written by Christian Perrissin with art by Mathieu Blanchin. 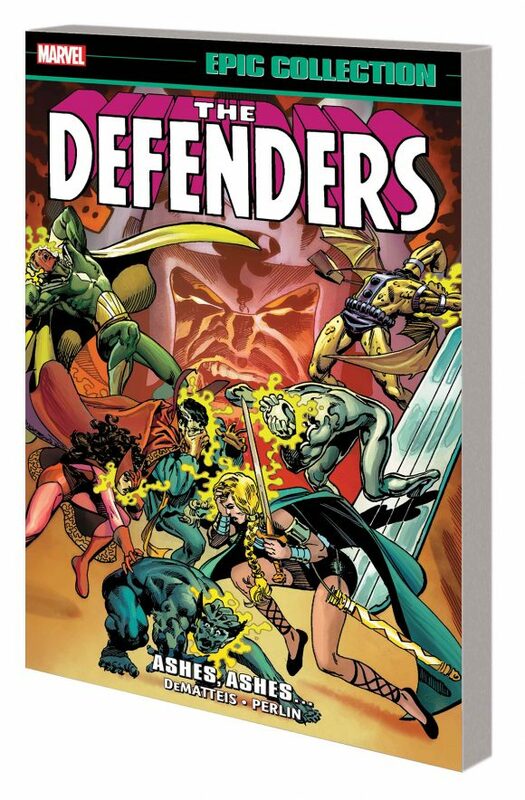 Defenders Epic Collection: Ashes, Ashes TPB, Marvel. The Squadron Supreme, Overmind, the Gargoyle, Vision and the Scarlet Witch — this was the Defenders of my youth, when I was REALLY into the book. Great stuff here by J.M. DeMatteis and Don Perlin. 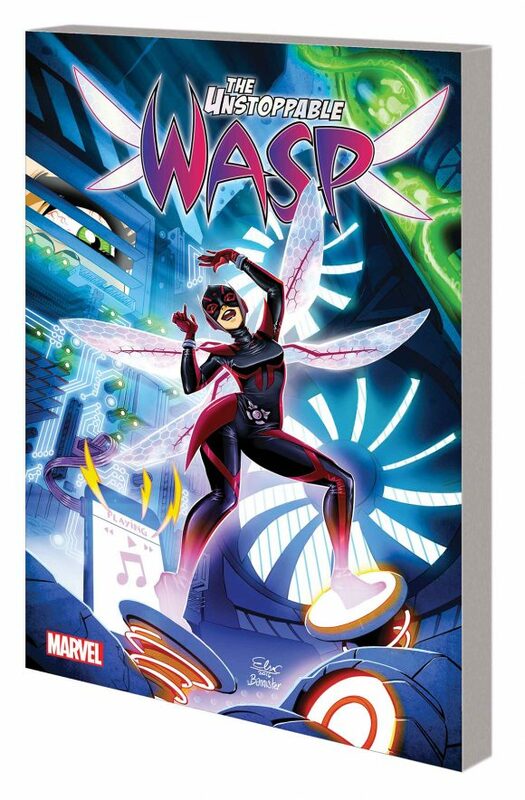 Unstoppable Wasp, Vol. 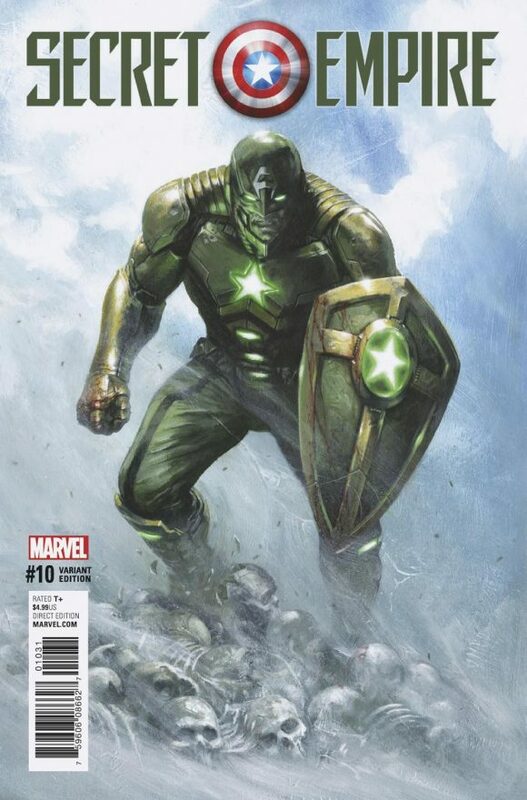 1: Unstoppable, Marvel. I really liked this book, and I liked the way it honored and played fair with the history of Ant-Man and the Wasp. It’s a shame it didn’t find an audience. Here’s your chance to catch up. Written by Jeremy Whitley with art by Elsa Charretier. Justice League of America #13, DC. 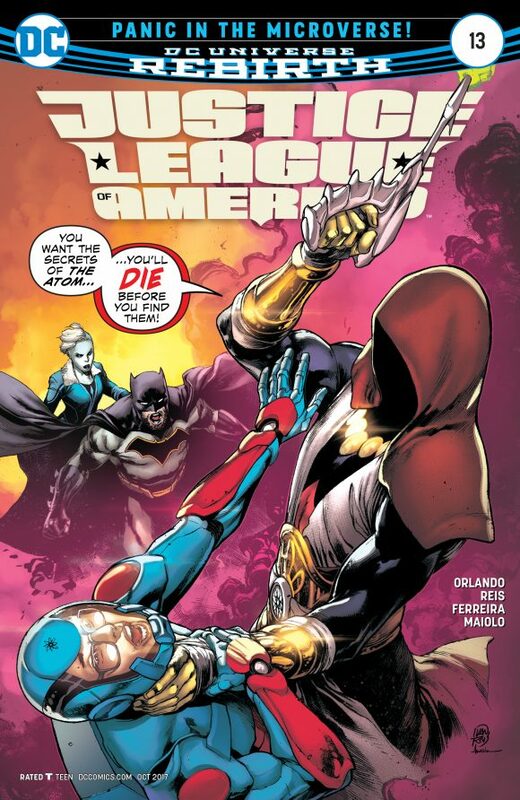 The JLA’s hunt for Ray Palmer in the Microverse continues — with a word-ballooned cover no less! Why, how very Silver Age. By Steve Orlando and Ivan Reis. 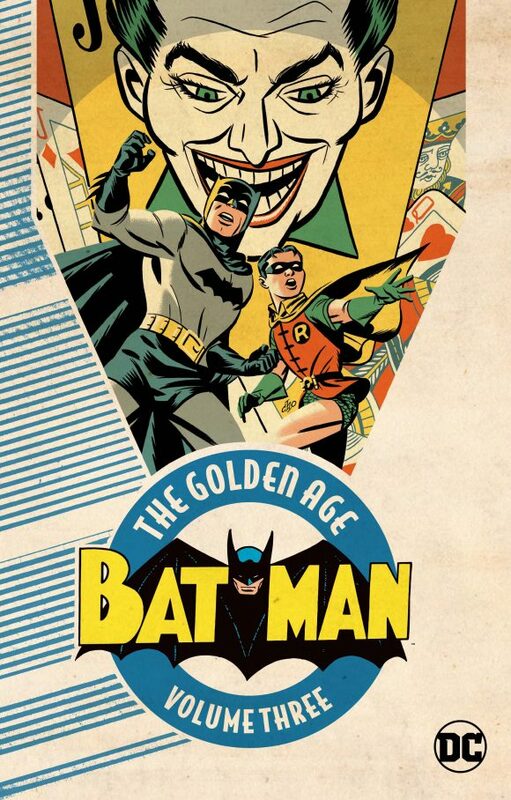 Batman: The Golden Age Vol. 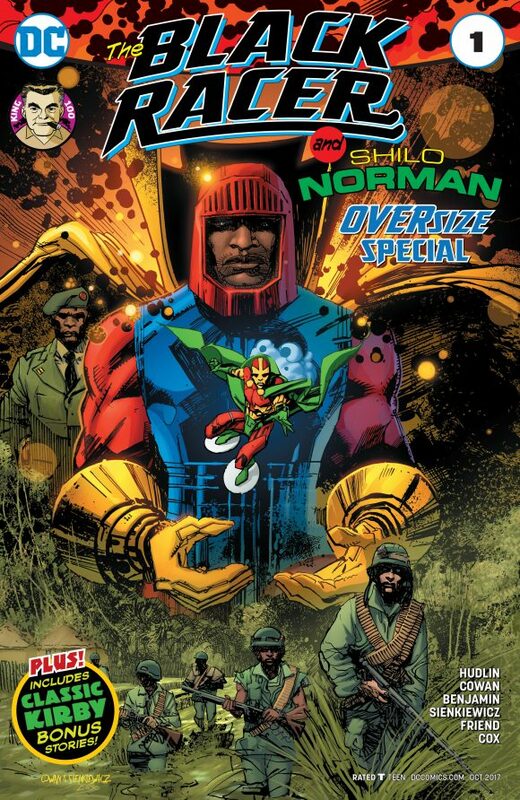 3 TPB, DC. 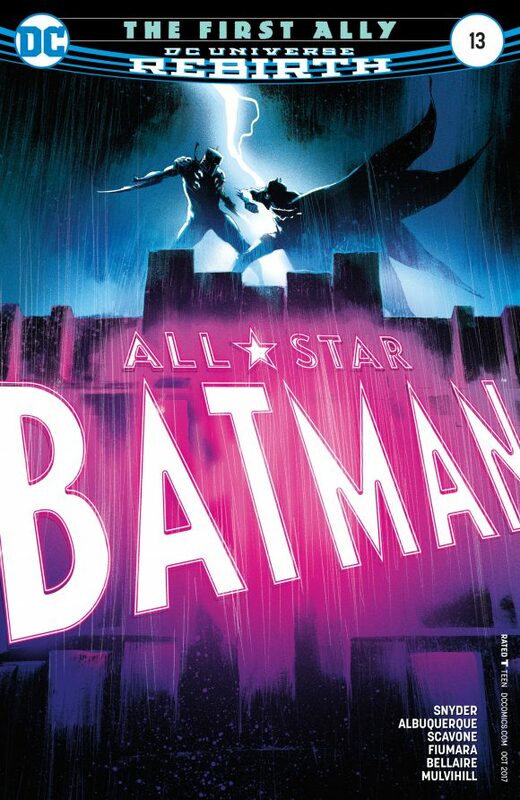 DC has reprinted much of Batman’s Golden Age material in many ways over the last couple of decades. 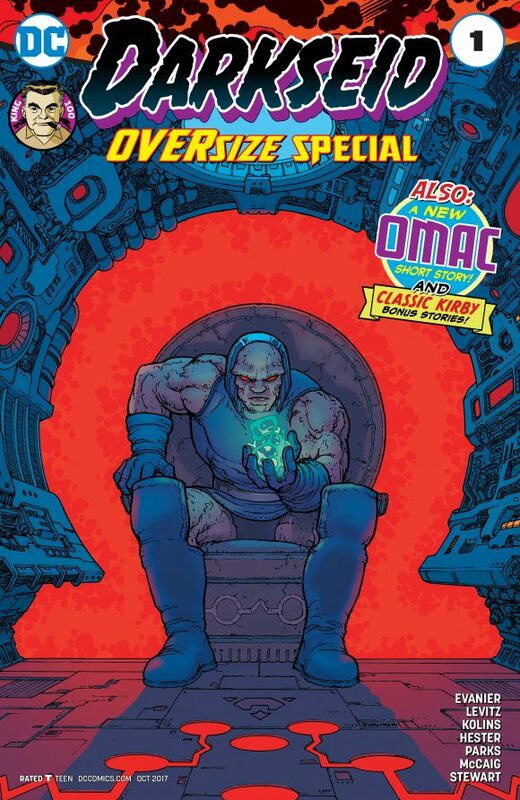 Right now, we’re getting these paperbacks, which are basically more digestible versions of the concurrent omnibi the publisher’s putting out. But I mention this one because of that spectacularly sumptuous Michael Cho cover, which recalls Batman #11, my favorite cover of the Golden Age (and which is collected in this book). This volume includes Batman #8-11, Detective #57-65 and World’s Finest #4-6. 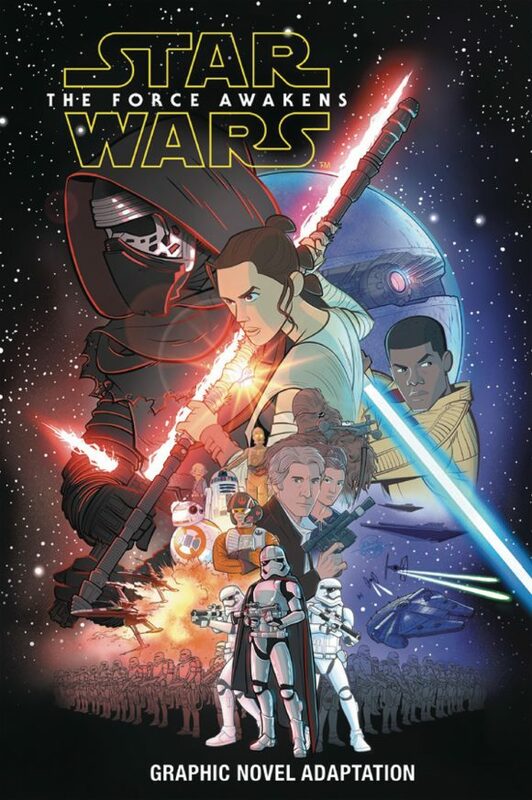 Star Wars: The Force Awakens TPB, IDW. Imagine if Star Wars were converted to a 2-D Disney cartoon. Then that cartoon were converted to a comic book. That’s the gist of these cool-looking, all-ages graphic novels in a nutshell. I loved, loved, loved The Force Awakens, so this volume is certainly worth a look. By writer Alessandro Ferrari and art by a whole crew of people. 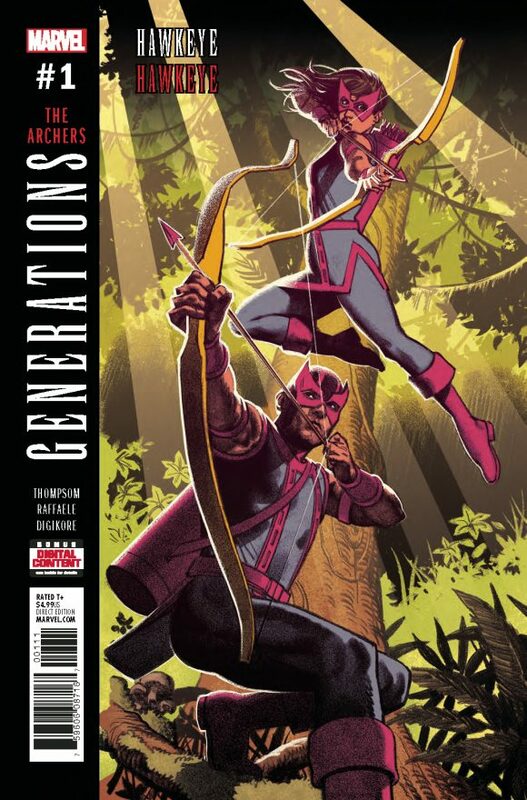 Generations: Hawkeye and Hawkeye, Marvel. These two kids are so great together, whether one of them’s time-displaced (Clint) or not. By Kelly Thompson and Stefano Raffaele. True Believers, Marvel. 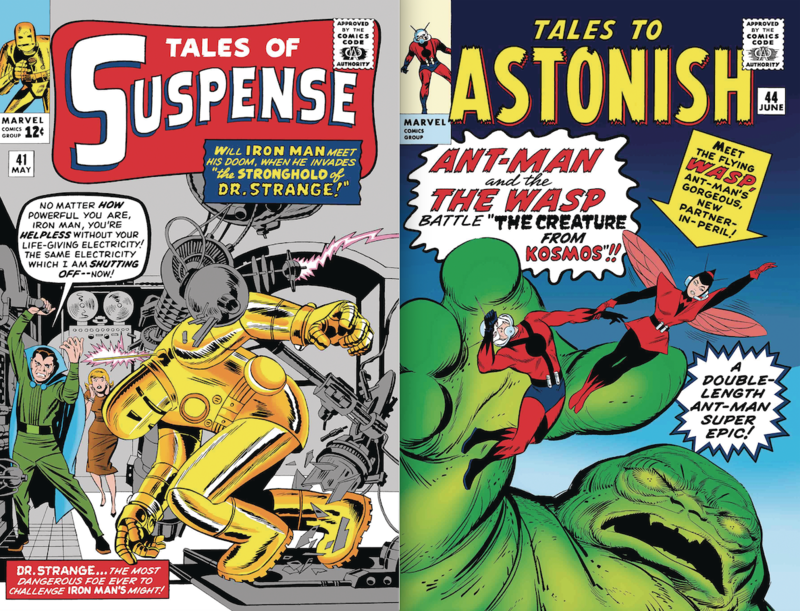 The last two of the month’s Kirby dollar reprints. Collect ’em all!